I'm inviting you all to an Open Studio Presentation to see my paintings this Sunday, Dec. 9, 2018 from 1pm to 6pm in my personal studio. 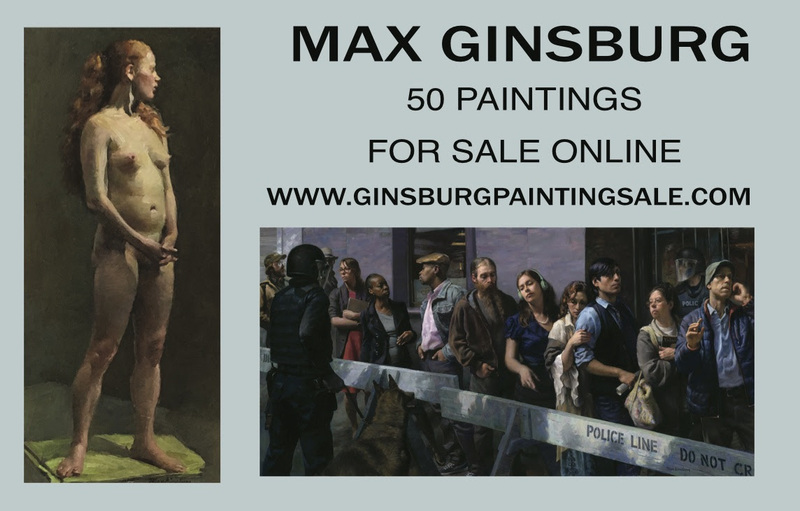 On view I will have paintings from the 1960's to the present, including large multifigure major paintings expressing my humanist concerns about society. Many of my smaller and medium sized paintings reflecting the reality of people in the streets of New York will also be on view. In addition I will have many painting studies, some done from life and others as layouts for larger paintings or illustrations. There will be quite a few of my commercial illustration paintings which are so different, especially in concept, than my fine art. Each decade reveals another level of development in my work. While my concern for humanist values has remained consistent, my technique and skill level has varied. By the end of the 1970's my painting skills really improved thanks to a group of volunteer students at the High School of Art & Design, my colleague Greeny along with myself organized this group and met each morning to paint from life. How valuable this was. It enabled the students and Greeny and me too to really become better, more skilled artists. From 1980 to 2004 I painted illustrations, primarily romance covers for major publications. Here I did not work from life but resorted to photographs for my reference. And of course these illustrations reflected a world of fantasy and escape and was not the real world that I experienced. Nevertheless it provided a very good income for my family. 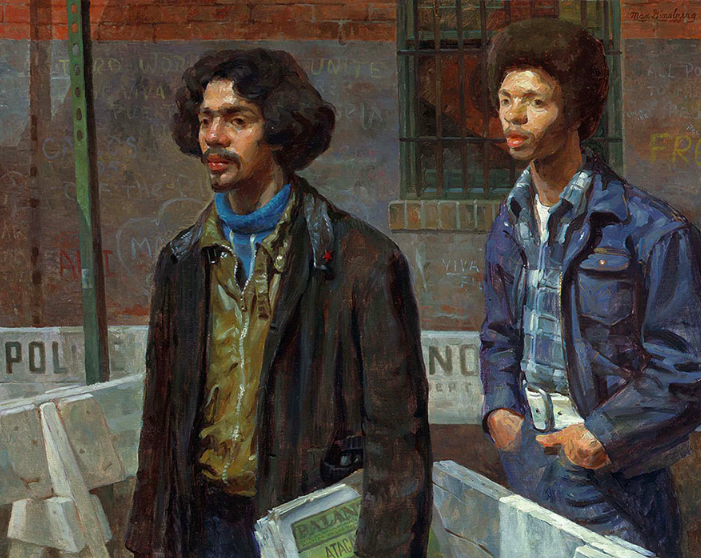 After 2000 I began to once again paint the social realism of the streets of New York and like I did in illustration I used photography for reference. After 2007 I began to paint more from life again, including for my multifigure major paintings. 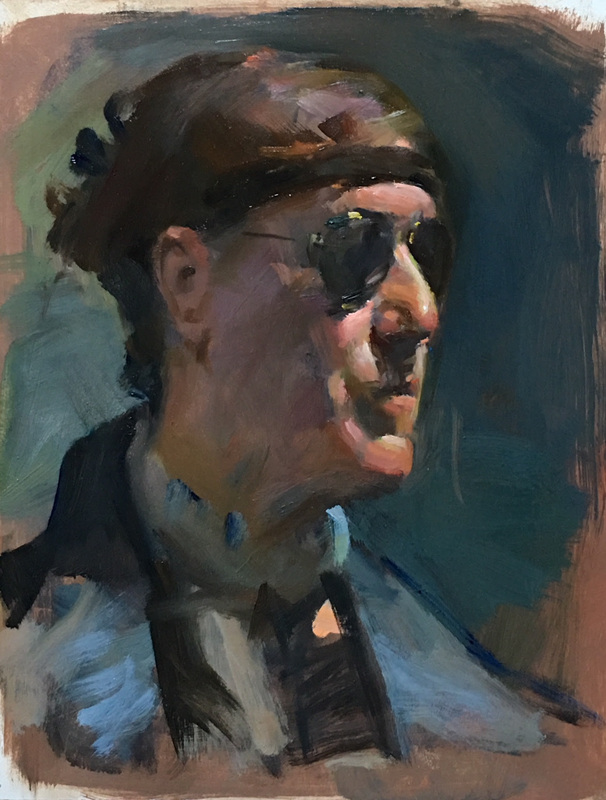 I have been teaching art since 1960, first at the High School of Art & Design until 1982, then at the School of Visual Arts 1984 to 2000, and finally at the Art Students League from 2008 to the present and I have given many workshops nationally and abroad. Many of my studies were painted as demonstrations in my workshops and classes. I will be present at this Open Studio event and be happy to answer and discuss any questions you might have. Many paintings will be available for purchase but don't feel obligated to buy any paintings. My main interest is to promote realist art with humanist social values. If you can't make it, you might like to visit my new sale website.